Yeah, it took BlackBerry a long time to see the writing on the wall. But on October 21, 2013, it finally launched BlackBerry Messenger (BBM) for Android and iOS respectively. 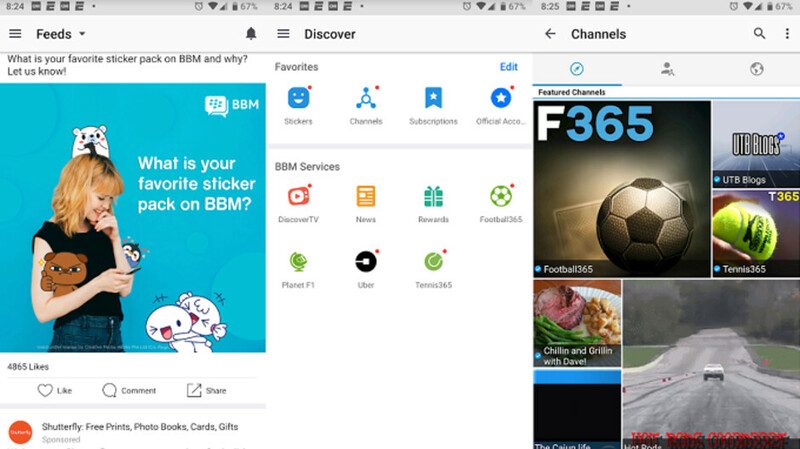 The BBM app is available in both the Google Play Store and the Apple App Store. The app has been installed on Android devices over 100 million times. A new interactive feed allowing users to like, share, or exchange comments related to your BBM friend's status. Video calls will now match the size of the display on your handset, allowing you to see more of your family and friends; if you have a handset with a large screen, this is a nice feature to have. Share your unique invite leak to add new members to your group. You can now open, search or delete all of your files using the document tab in contact and group info. BlackBerry has also updated its terms of service for BBM, which can be found at this link. Frankly, we wouldn't be surprised to see BlackBerry eventually spin off BBM or sell it. While the messaging app might not be worth the $21 billion+ that WhatsApp received from Facebook in 2014, should BlackBerry need to raise some cash, it can always sell BBM or take it public to raise a large chunk of change.